I presented a talk on 3D printing at the upcoming RSGB Convention. It was one of the first talks on Saturday morning. I introduced you to the fascinating world of 3D printing where you learned about the different 3D printing methods with a focus on inexpensive FDM machines. 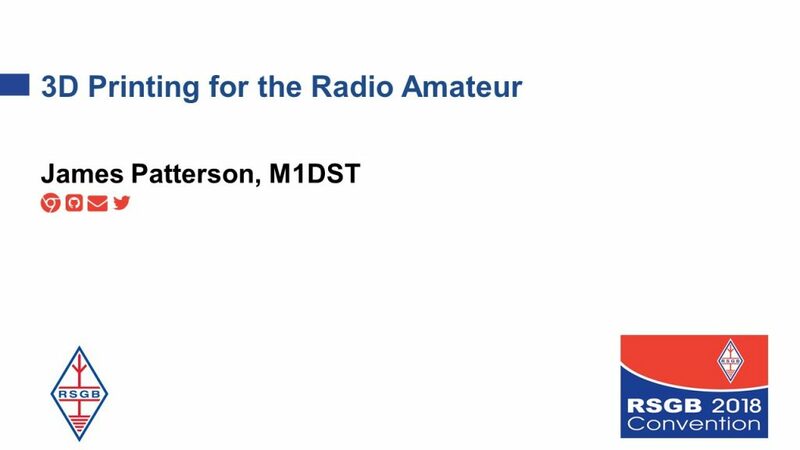 You left with an understanding of how the machine works and how 3D printing could be used as a tool to improve your Amateur Radio life. We discussed the tools used to take an idea from your head to become a finished item. I promised to post slides to the presentation here. I have provided two files. One is just a PDF which is ideal if all you want to do is review the data tables I showed. The second file is over 100MB but contains some of the videos you were not able to see on the day. Please feel free to send me email or tweets with any feedback.